Im Februar 2013 sind wir mit Barry als Pilot über Bagan in Myanmar geflogen. Es war ein einmaliges Erlebnis. Barry, how did you become a balloon pilot. Can you tell us something about the training? I started training in 1993 when I lived in Ronda, Andalucia. There was a balloon operator there who had been working in Kenya for 10 years and he needed staff for his new operation flying in this wonderful mountainous area of Southern Spain. I just happened to live down the valley and he offered me a job as crew and over time he trained me up to become a pilot. How many years have you been flying and in which countries have you flown so far? I have been flying commercially now for 13 years and worked all over Europe. I’ve worked in Spain, France, Italy, United Kingdom and Russia. I also work as a Flight Instructor and teach people to fly balloons. Do you live in Myanmar year-round? What do you do in the low season? I only live in Myanmar during the flying season, which is from October until March. Then I go and work somewhere else. This year I will be flying balloons in England, near the home of Shakespeare in the wonderful city of Stratford Upon Avon. Why is ballooning over Bagan so special? Bagan is special because you know it is the spiritual heart of Myanmar and that the temples are an expression of that Buddhist devotion. However, it is not until you fly in a balloon, that you get a true idea of just how amazing this region is. Every time I fly I get a thrill at seeing those beautiful temples from the air. What are the best spots in the world for ballooning besides Bagan? For us balloon pilots there are a few areas that we all want to go to. Africa is still probably one of the top places, because seeing wildlife from a balloon basket is how the whole business of passenger flying in balloons started. Also there is an annual balloon meet in Albuquerque, New Mexico, USA every year, when up to 1000 balloon pilots meet and take part in the biggest festival of its type in the world. Every pilot has to go there once in their career. I still haven’t been yet! 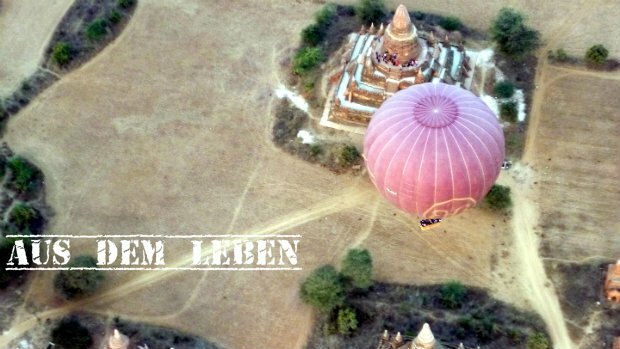 Do we need to book ahead to fly with Balloons over Bagan? Because the activity is so popular now, it is advisable to book well in advance, rather than leaving it until your arrival in Myanmar. Although we fly quite a number of balloons, the spaces in the basket get filled very quickly. Please confirm the price with our office in Yangon. How long is the flight and how many balloons are going? We normally try to fly for up to an hour, depending on the wind direction and speed. Next season, there will be 7 – 8 balloons flying, with a capacity of up to 100 passengers. What’s it like living in Myanmar? Myanmar is a fantastic place to live. The country is so diverse, with mountains and glaciers in the north (where the Irrawaddy River rises), through to the lake at Inle and the dry region of Bagan and then you have the wonderful buzz of being in great cities like Yangon with beaches and the sea not far away. I would love to ride my motorcycle around the world with my best friend alongside. Thank you so much Barry that you took the time for answering our interview questions. Hier findest Du mehr zu unserer Reise in Myanmar. Lust auf mehr Abenteuer in Asien? Mongolralley und Schwimmen mit einem Walhai. ja, Bagan ist in allen Dimensionen geil. Ob per Fahrrad, Pferd, zu Fuß oder Ballon….Kurzfristig ist es bestimmt auch schwer ein Ticket zu bekommen oder sie haben mittlerweile mehr Ballons. Für mich war es auch die erste Ballonfahrt ever.